Ponta Del Garda is the largest capital city in Portugal and is located on Sao Miguel Island. The city itself is surrounded by buildings with their original Victorian structure. Ponta Del Gada was founded in 1444 as a small fishing village but now is the most popular city in Portugal for tourists and residents. 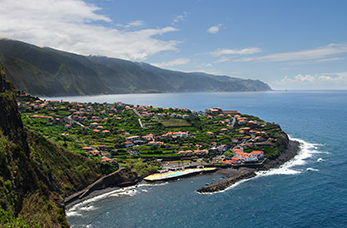 Ponta del Gada is best known for being a great whale-watching destination and the biggest lakes in Portugal. Pico do Carvao is a viewpoint which provides panoramic views across the northern and southern coast of the island. From the viewpoint you have the opportunity to see the beautiful lakes of Carvaowhich are surrounded by Japanese cedars and tree ferns. Nossa Senhora da Paz is a religious structure that was built in 1764 and is located up in the hillside, overlooking Vila Franco de Campo. To get to the top of the hill, you have to walk up a flight of stairs which is where you can look at the breath taking views.